While we were away, we welcomed a new member to our family! I am now a mom of an infant and a toddler (wow!). I am learning to adjust to the lack of sleep again, but enjoying the extra time with my family while on maternity leave. I feel like Memorial day is the unofficial start of summer and since it just passed I thought this post was the perfect way to start back. With the start of a new season I like to change my door wreaths. Since I like to try to change my door wreaths for the different seasons, I have about four wreaths that I use throughout the year. 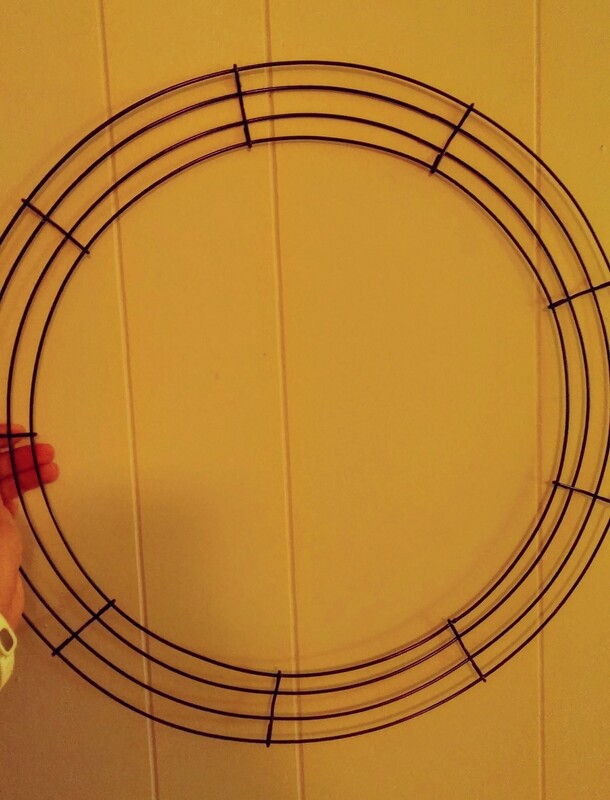 I was scrolling through Instagram and saw the cutest idea for a pinwheel wreath and thought I would give it a try. First I bought my supplies, mostly at Wal-Mart. Basically you cut the wreaths into squares. 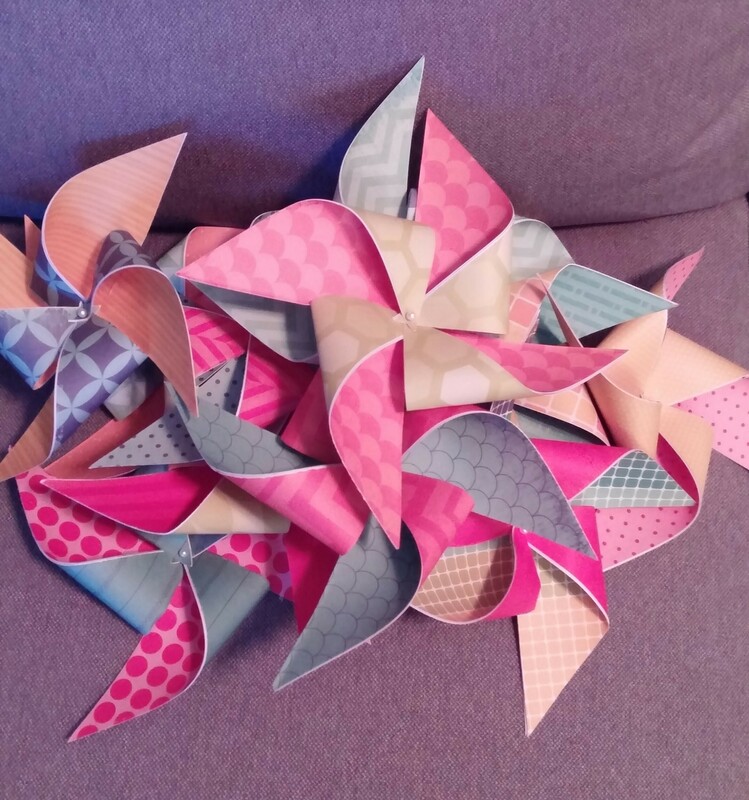 You will need two squares for each pinwheel. 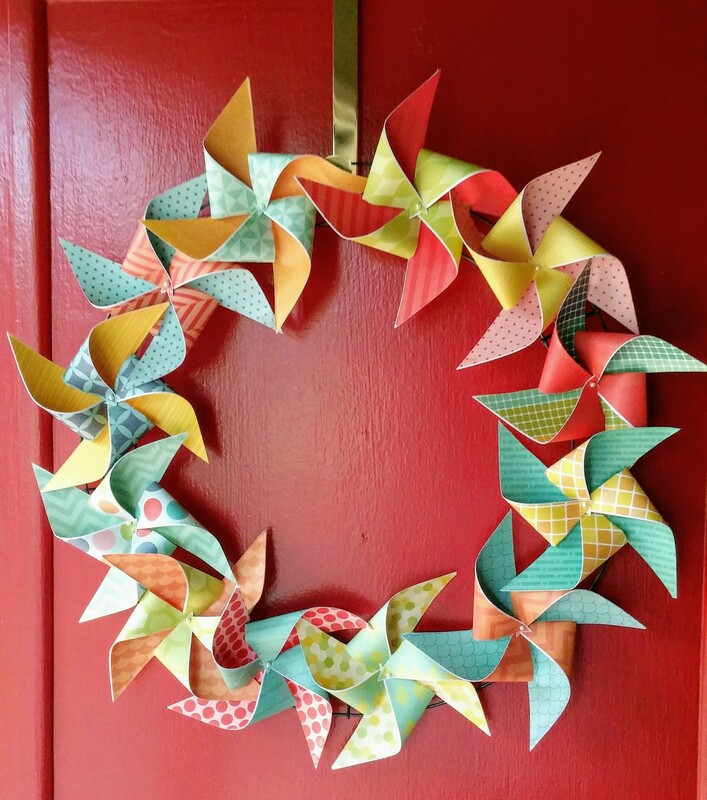 I used different patterns for each side of my pinwheel but you could also use plain paper for one side. 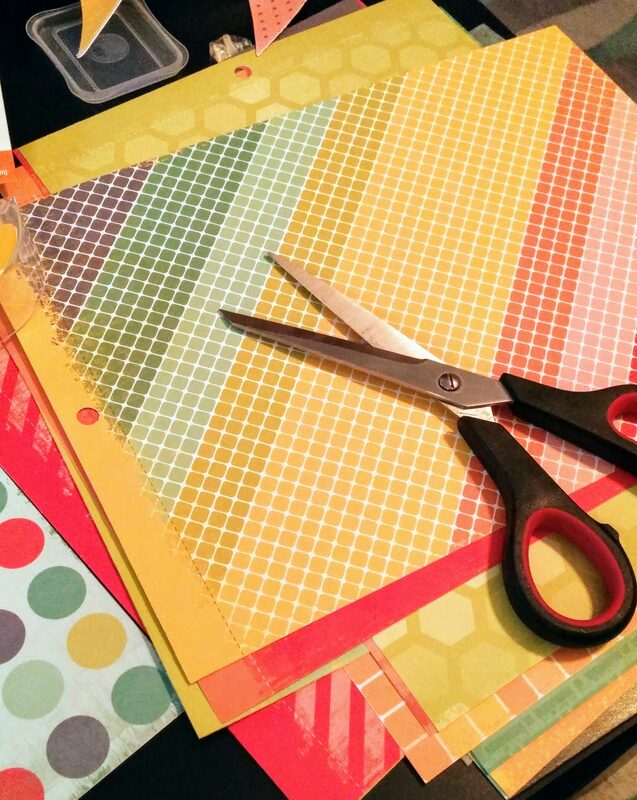 You will glue or tape your two sides of paper together. 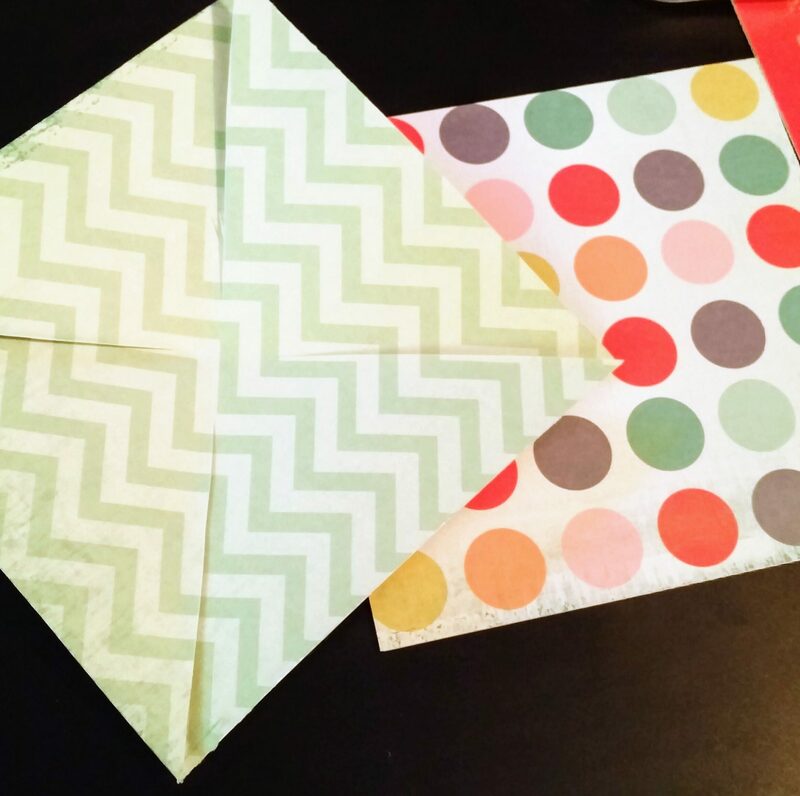 If you follow the directions on the site, it will tell you how to cut the paper and then you fold every other corner to the middle of the square. Once you have your four corners in the middle, you will stick a pin through the middle. I bent my pin down and taped it to the wreath, since you aren’t using the pinwheel like a traditional one on a stick you don’t have to follow the directions for that portion. Here is a pile a my pinwheels. They were pretty easy to make after I did the first one. 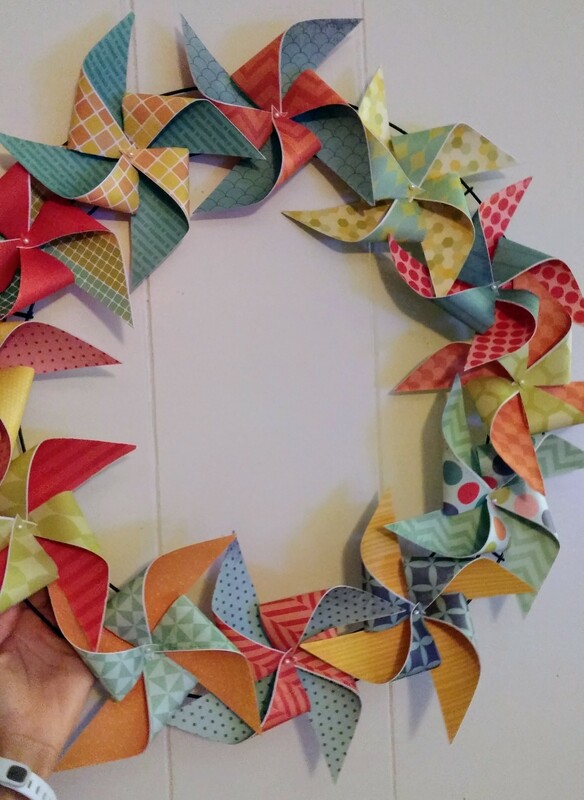 Next, I got my wreath frame and began to hot glue each pinwheel to the wreath. 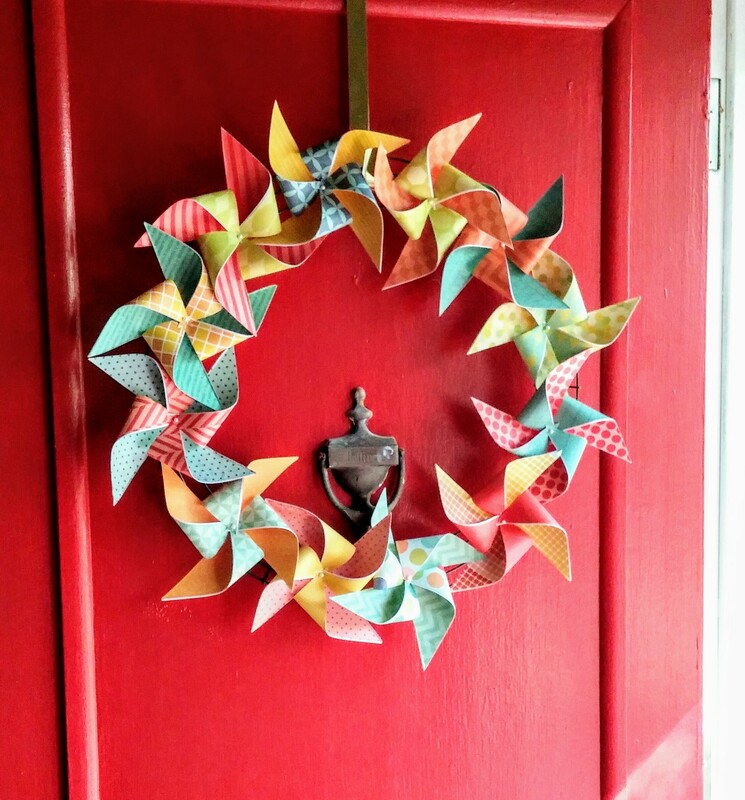 I used about 12 pinwheels per wreath, but this will depend on the size of the wreath you purchase. Finally I hung my two new wreath on the door. Previous Post why I have 7 bank accounts!